Mrs. Mulkey has worked in Catoosa County since 1991. She taught elementary grades for the first 10 years. 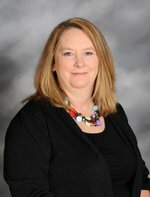 In 2001 Mrs. Mulkey became a media specialist at Lakeview-Ft. Oglethorpe High School. She was voted "Teacher of the Year" by her peers in 2015. This remains a treasured highlight of her career. Mrs. Mulkey has been a teacher in the Catoosa County school system since 1991. She has been married to Glenn Mulkey for 31 years and has two daughters, Hannah and Sarah. Her hobbies include reading and hanging out at the beach!